Battulga Khaltmaa of the Democratic Party (DP) won Mongolia’s presidential run-off on July 7th. He obtained 50.6 percent of the vote, narrowly winning the election but at the same time soundly defeating Enkhbold Miyegombo of the ruling Mongolian People’s Party (MPP). Battulga came in first-place on June 26th, but did not secure an absolute majority in the three-way race with Enkhbold, the government’s candidate, and Ganbaatar Sainkhuu, a populist who was nominated by the Mongolian People’s Revolutionary Party. Thus, for the first-time in Mongolia, the presidential election was forced into a second-round. Third-party candidates have competed in past presidential elections, but they have never garnered much support. Ganbaater attracted support from independents who voted against the MPP and DP duopoly that has dominated Mongolian politics since democratization. Comparison of geographically disaggregated results suggests that Ganbaatar’s voters favored Battulga in the second round. But independents also advocated for a “white vote,” or casting a blank ballot. Had neither candidate received the required absolute majority in the second round, the law would require parties to put forward different candidates in a new election. Blank votes accounted for over 8 percent of the total votes cast. The presidential election took place in a context of precipitous economic decline in Mongolia following the global commodity bust and prior policy mistakes. The MPP government recently accepted a politically unpopular IMF bailout, agreeing to belt-tightening measures and thereby backtracking on many of the promises it had made in last year’s parliamentary election. Battulga attacked the MPP for betraying its promises and framed this year’s election as a referendum on the bailout. During the campaign, Battulga suggested that he might reinstate a bill requiring revenues from foreign owned mines, including the giant Oyu-Tolgoi, to be funneled through Mongolian banks, which the IMF opposed. He proposed forgiving individual debt held by Mongolians and distributing dividend payments from the shares of a state owned coal mine Tavan Tolgoi to every citizen. Ganbaatar, the third-party candidate, also railed relentlessly against foreign ownership of local mines. The opposition also played the ethnic card in their attacks on Enkhbold by calling him an “Erliiz”—a person of ethnic hybridity—of Mongolian and Chinese mix. Many Mongolians subscribe to a primordialist belief of ethnicity, according to which the essence of someone’s identity is contained within that person’s blood. As a defiant critic of China and an unapologetic nationalist, Battulga adopted an implicitly Sinophobic slogan Mongol ylna, the meaning of which is open to interpretation: Mongolia will triumph or a Mongol will triumph. The Mongolian People’s Party—to use its current name—and the Democratic Party have dominated Mongolian politics since the first free and fair election of 1992. The MPP is the former communist party; between 1924 and 2010 it was called the Mongolian People’s Revolutionary Party. When the party dropped “revolutionary” from its name a dissenting faction usurped the revolutionary banner, forming a new party but adopting the former party name. Since last year’s parliamentary elections, the MPP has had full control of nearly all government institutions, barring the presidency. The MPP represents the more disciplined and mature political force in Mongolian politics, compared to the fraction-ridden opposition. The Democratic Party traces its origins to the Mongolian Democratic Revolution of 1990. Many of its leaders were involved in the various pro-democracy forces that sought regime change in Mongolia. These forces ran as a coalition and won the parliamentary elections of 1996, stemming seven decades of uninterrupted one-party rule by the MPP (then called MPRP). Once in office, however, the coalition broke down due to factional in-fighting amid economic crisis and controversies involving allegedly corrupt privatization of public assets. In the subsequent presidential election, the incumbent president from the DP coalition lost to the MPP candidate. The MPP president and the DP controlled parliament clashed over the selection of prime minister and the formation of the cabinet. This power struggle paralyzed the operation of government for several months. In 2000, the MPP won a landslide victory and the losing democratic factions responded to their defeat by coalescing into the current Democratic Party. The DP returned to power in 2012 at a time when Mongolia had seen record high growth, owing in large part, to high commodities prices and major foreign investment in mining projects. In a remarkably similar fashion to its first time in power, DP’s rule between 2012 and 2016 was characterized by factional struggle, economic slump, and controversial privatization of the Russian-Mongolian jointly owned Erdenet mine. Voters blamed the DP for the country’s economic ills and thoroughly rejected them at the polls last year. In an effort to curtail the notorious infighting and regroup after their loss, the DP national party congress decided to hold a first-ever primary election to nominate a candidate for the presidential election. About 60 percent of all DP members participated (the DP counts more than 180,000 members nationwide) in the primary on May 3, 2017. The primary election was supposed to strengthen party discipline by letting the party members openly select a presidential candidate capable of uniting the factions. Instead, six DP leaders sought the party nomination and Battulga, a controversial and polarizing figure even within his own party, was able to defeat his rivals with far more experience and moderate views, even though he received only a third of the total votes cast in the DP primary. Following the transition to democracy, the 1992 Constitution created a semi-presidential system of government as a compromise, establishing a popularly-elected president who serves for a fixed 4-year term and a government comprised of a prime minister and cabinet that is responsible to parliament. The presidency is an important, but controversial, position in Mongolia’s semi-presidential system. The Mongolian president plays a primary role in foreign policy, chairs the National Security Council and serves as the Commander in Chief of the armed forces. Also, the Mongolian president has coveted appointment powers which allows him to fill many positions in the Mongolian bureaucracy and name ambassadors and judges, including chief justices. The president also nominates the head of the Independent Authority Against Corruption, subject to parliamentary approval, and approves parliament’s nomination for the General Intelligence Agency. These presidential prerogatives may be particularly important to the current president-elect as these two institutions investigated Battulga for embezzlement during his stint as Minister of Industry and Agriculture between 2012 and 2014 and arrested his aids last year. This controversy led to the public falling out between Battulga and the outgoing DP president Elbegdorj, given his extensive influence over the country’s justice system and the IACA. In addition, the president has the constitutional right to offer policy guidance to the cabinet and to sponsor and initiate legislation. The president has the power to veto bills passed by parliament, which requires two-thirds of MPs to override; given that the MPP controls 85 percent of parliament, Battulga’s veto power will not have much bite. As readers of this blog are well aware, semi-presidentialism opens up the possibility of cohabitation where the president and prime minister are from different parties that have not formed a governing coalition. In Mongolia, the president is constitutionally designated as a non-partisan and apolitical “embodiment of national unity.” As such, Battulga will be required to forgo his party membership before taking the oath of office. However, only political parties represented in parliament are allowed to field candidates in presidential elections; this means Battulga will have a difficult task of remaining above partisan politics, while at the same time retaining enough influence and support within his party if he is to seek reelection. Despite the constitutional contradiction, de facto cohabitation has been common in Mongolia, and will continue given the outcome of this presidential election. Under Mongolia’s semi-presidential constitution, the respective powers of the president and parliament in selecting the government have been subject to ongoing political disputes, legal reforms, constitutional amendment, and scholarly debate. Lkhamsuren Munkh-Erdene argues that Mongolia has been functioning like a typical parliamentary system since the 2000 constitutional amendments removed presidential discretion over the selection of the prime minister. Yet, because the presidency is still directly elected, candidates seeking the office often have made ambitious and oversized promises to get elected (on this point, Battulga’s campaign was no different). This produces a mismatch between the voters’ expectation of an all-powerful president vis-a-vis what in reality the presidency is institutionally capable of and constitutionally empowered to do. As a result, confidence in the office of the president, which prior to the reform used to be higher than any other government branch, has declined dramatically. In opinion surveys, over 78 percent of respondents stated they have confidence in the presidency in 1997; that number dropped to 50 percent a decade later, before reaching an all-time low of 41 percent this year. Although the MPP has the super-majority required to make changes to the constitution, it has so far hesitated to unilaterally push through any reforms. Major amendments in consideration include making the president appointed by parliament, rather than popularly elected, and stripping the president’s power to influence the cabinet, initiate legislation, and make judicial appointments. It remains to be seen whether defeat in this election will compel the MPP to pursue these or other constitutional amendments. The potential showdown with Battulga should raise Linzian-inspired concerns of democratic instability. All of the above points to looming economic and political crises in Mongolia. Although Mongolia lacks what scholars identify as prerequisites for the emergence and survival of liberal democracy, Mongolia’s “deviant” democracy inspires academics and policy-makers to praise the country as a democratic over-achiever and an oasis of democracy. Nevertheless, the elections of this year and last year put more strain on Mongolia’s still relatively new democracy than it had ever experienced before. While all previous DP presidential candidates were committed democrats and personally involved in the democratic transition, this cannot be said of Battulga, who entered politics relatively recently. Battulga ran a campaign that centered on his personality more than his party or program. Battulga’s supporters have likened him to the Russia’s Vladimir Putin, whose popularity in Mongolia seems to have risen in recent years. Public opinion surveys indicate that close to 70 percent of respondents say it is either “good” or “rather good” to have a strong leader who doesn’t have to bother with the parliament or elections. Ganbaatar, in contrast, is a political opportunist, who has twice changed parties. He was one of the most popular politicians until a recent scandal revealed he had lied about his college degree and he lost his seat in parliament last year. In the middle of this year’s election, a video was released to the public that showed Ganbaatar accepting illicit campaign donations from a Korean national. The police authenticated the video; the case is pending investigation. The opposition refrain against Enkhbold was that he is “turuus tursun bayan,” a popular Mongolian term referring to a corrupt insider who has gotten rich from embezzling the state. The refrain proved to be fatal in the context of growing wariness of voters following the Panama Papers’ revelations of off-shore accounts used by top Mongolian officials (not to mention several other political scandals). A powerful anti-establishment narrative permeated this year’s presidential election, summarized by a Mongolian word for fog, manan, which is derived from combining the Mongolian abbreviations of the MPP and the DP, or “MAN” and “AN”, respectively. The MANAN narrative suggests that corrupt leaders from both major parties collude to exploit the country’s natural resources at the expense of Mongolian citizens. The outcome of the presidential election gives no indication that the fog hanging over Mongolia’s semi-presidential democracy has lifted. 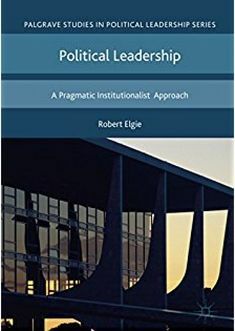 For an excellent overview of Mongolia’s politics of semi-presidentialism, see Sophia Moestrup and Gombosurengiin Ganzorig’s chapter in Semi-Presidentialism Outside of Europe, edited by Robert Elgie and Sophia Moestrup, Routeledge 2007. It is custom to refer to individuals by their given name in Mongolia. This entry was posted in Asia, Mongolia and tagged Mongolia, presidential election on July 11, 2017 by Robert Elgie.